Why Recommend a Billboard Ad to Your Clients? Billboard advertisements offer unbeatable value. It's all about providing the right mix of advertising service and media to your clients while staying on budget. 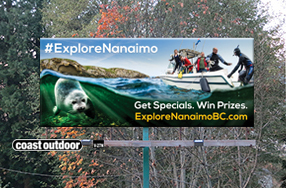 Outdoor media can deliver the results your clients demand at a shockingly low CPM (cost-per-thousand) impressions. It's increasingly hard to deliver results through traditional broadcast and print media alone. The fractionalization of traditional broadcast and print media means that you have to broaden the scope of your ad mix. Web and social media are great, relatively low-cost ways to get the word out but building traffic and "likes" to influence consumers and build market share for your clients can be a long, time-consuming slog. Consider jump-starting the campaign with outdoor media. Billboard rates and availability are at your fingertips. You can quickly determine billboard rates and plan an outdoor campaign with Coast Outdoor - right here.